Twelve residents have put their names forward to stand as candidates for Winsham Parish Council in the election to be held on 2nd May, 2019. Henk Beentje - James Bell - Dave Checkley - David Clark - Stuart Davie - Jim Everard - Keith Fowler - Russ Haggard - Judith Hill - Sarah Love - Diane Wallbridge - Stephen Weller. 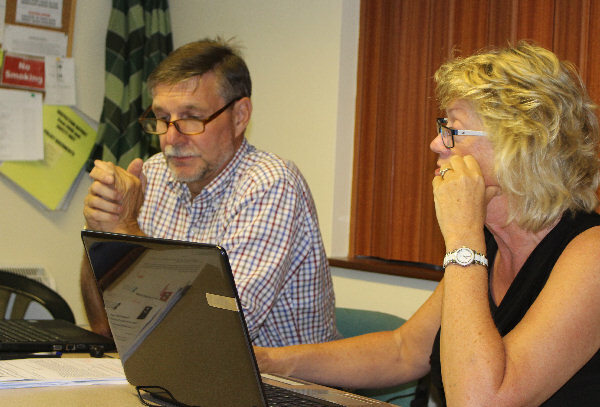 A web page has been created enabling candidates to place a photograph of themselves, and give a brief statement about their particular interests within the community and how they see their roll as a Parish Councillor if elected. This, I think, would be of great benefit to those residents who may not personally know an individual candidate. There is of course no obligation for candidates to make use of this facility. Entries and pictures will be in alphabetical order and be posted as soon as they are sent to me at : Candidate for Parish Council Election. Visit this page regularly to see Candidate's entries as they arrive. No doubt more information will emerge as we progress towards Election Day-so watch this space. Meanwhile, everyone will have received their Polling Card confirming their right to take part in the election. A .pdf file showing the nominations for all Parishes , published by SSDC can be seen by clicking HERE-for Winsham you will need to scroll down to Pages 116 and 117. WELL DONE EVERYONE WHO HAS PUT IN NOMINATION PAPERS-you have demonstrated your commitment to our wonderful Winsham community . Can you help disadvantaged children? Having a private water supply can be a real boon. 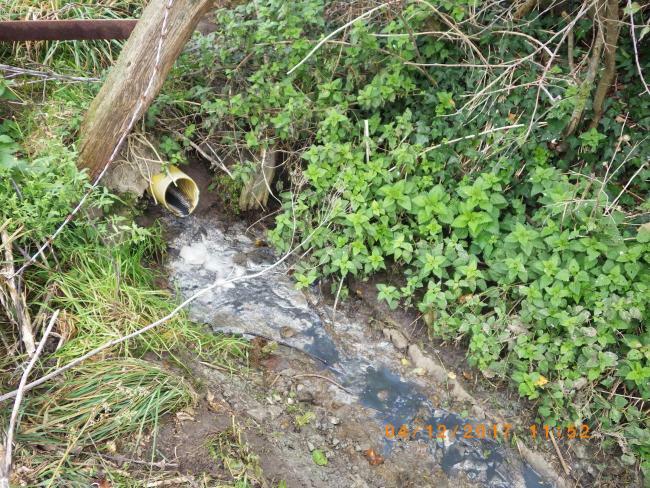 Cheaper than mains water, control over chemical additives and often with better pressure, a private supply is also not subject to imposed drought restrictions. Many farms, businesses and homes rely on a private supply either through preference or practicality. Indeed, the South West has around one third of all the private supplies in England. Cool, fresh and delicious - spring water on tap can be one of the perks of rural living. 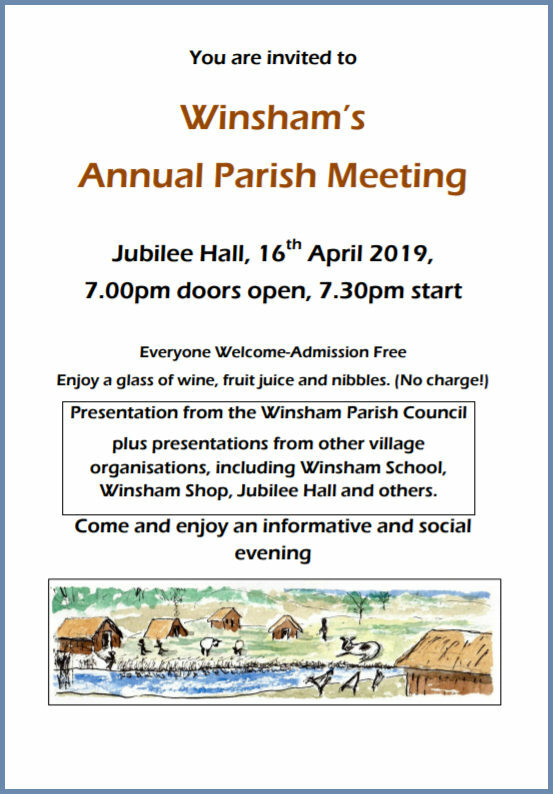 The official Winsham Parish Council Web Site carries a great deal of information that is relevant to its day-to-day operation, and can be accessed on www.winshamparishcouncil. Access to the various sections of the site can be reached by left clicking on the relevant buttons below. MAKE IT BETTER Practical advice about being a better neighbour and reconciling conflict. Information links relating to parking, noise, pets, etc. WINSHAM CEMETERY Details of cemetery regulations, charges and cemetery plots map. 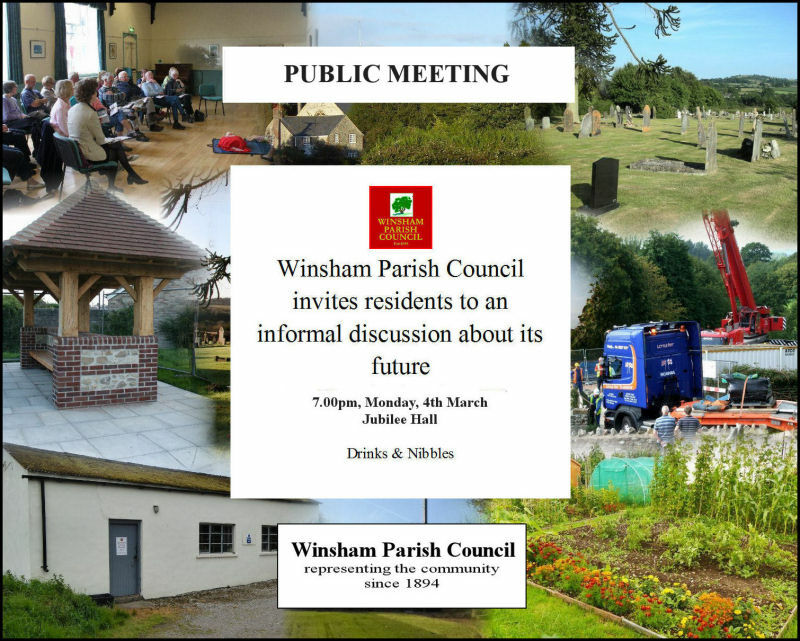 WINSHAM PARISH COUNCIL was formed in 1894. It's meetings have been held in the Jubilee Hall since that time. If you are interested in the Council's history, including the records of every meeting since it started , together with lots of other information, click on the button below. or within 3miles of the boundary. Membership is by election or co-option. 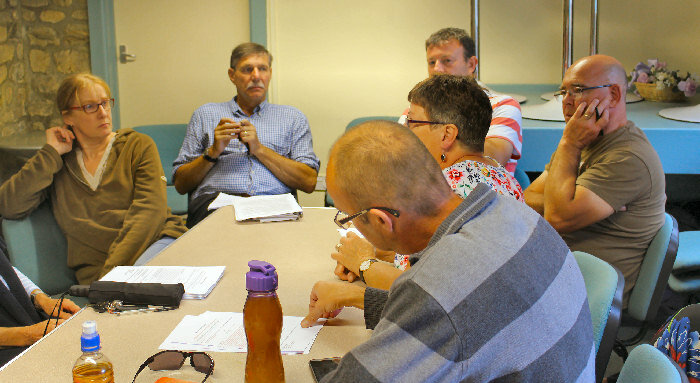 A new Parish Council is formed every four years.